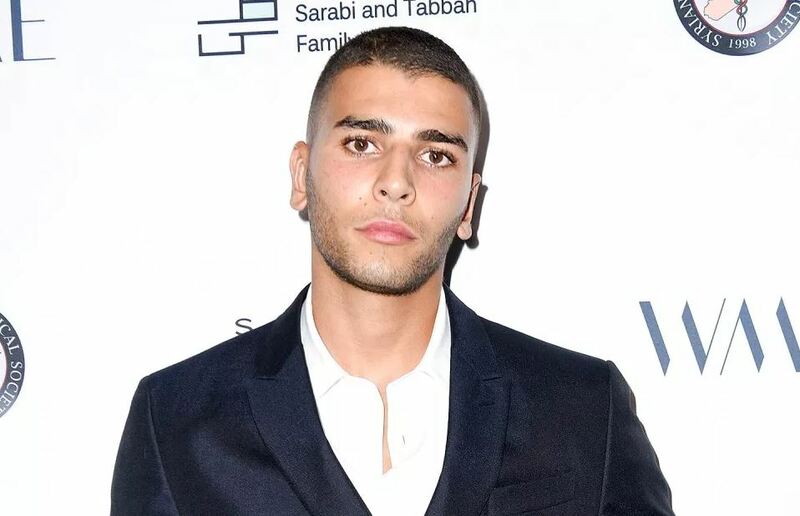 Younes Bendjima is a model and a former boxer, best known for being the toy boy of the eldest Kardashian, Kourtney Kardashian. He made the limelight for being her toy boy, but he is in the news for being the ex-boyfriend of Kourtney. According to sources, the couple looks to have separated after he was seen with another woman in Mexico. Younes was born in Algeria on 5th May 1993. He is of American nationality and belongs to multiracial ethnicity. His zodiac sign is Taurus. There is not much information about his parents and family background except that his parents were divorced when he was young. His mother lives in France after the divorce and visits his mother occasionally. After the separation of his parents, Younes came to live with his father in New York where his father owns a traditional restaurant. However, he had a passion for modeling and signed with Next Model management. He has done photo shoots with Vogue Spain and Le Monde M Magazine to name some of his best works. Younes has also been in several campaigns for the famous Ralph Lauren, Calvin Klein, Burberry and so on. Besides his modeling career, Younes is also a former boxer who boxed with the famous British Professional boxer, Amir Khan on 26th July 2018. With all these works in his bag, Younes annual salary is $330,000 from his modeling career. 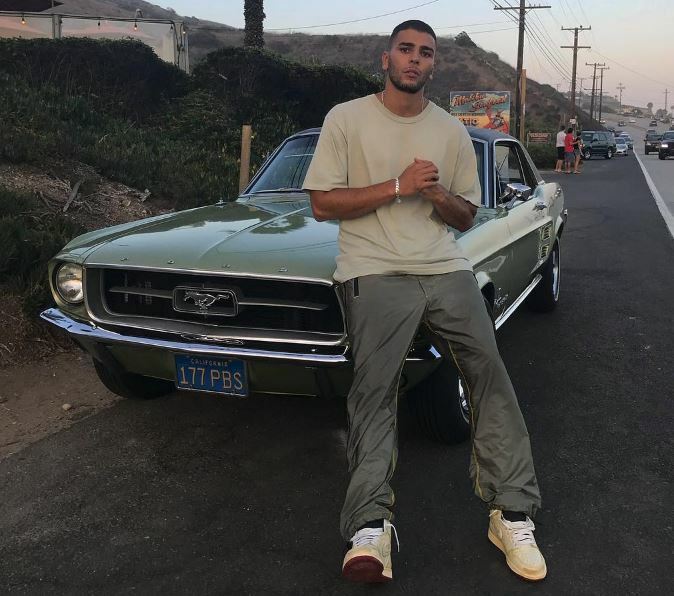 As of 2018, Younes’ net worth is estimated at $500 thousand. Younes and Kourtney started dating back in 2016 when they met in a bar in Paris during Fashion Week. Since then, they are spotted together having fun in various locations like Italy and Egypt. On October 2017, the couple was seen wearing a Halloween couple costume resembling Bonnie and Clyde. Younes and Kourtney celebrated their birthdays with a bang. For Kourtney’s birthday in April, the couple flew to Malibu Coast. Moreover, for Younes birthday, Kourtney took him to somewhere in Colorado River as per her Instagram posts. With all this going well, the rumor of their breakup started when Younes made a nasty comment on her Instagram post saying, “That’s what you need to show to get likes?”. However, later got deleted and his agent told that he was joking with her. On 7th August, a recognized source, People, reported that it didn’t well, and the couple broke up. It also stated that when she was with Younes, Kourtney got distant from her sisters and this could help her to be back hanging out with her sisters. On 14th September 2018, Kourtney was seen going out with the 20-year-old actor, Luka Sabbat. However, the couple, Younes and Kourtney, are reported to be back together, but we cannot confirm anything until the couple announces it officially. Younes was born in Algeria but later moved to New York with his father after his parents divorced. His father owns a traditional restaurant in New York, and his mother lives in Paris and visits her occasionally. During his visit to Paris, he learned the French language and became fluent in three languages including English and Arabic. Younes stand tall with a height of 6 feet and 2 inches. He has a great physique, and his looks are Asian as he is originally from Algeria.